Beautifully designed Beige colored shrug abaya designed by Mushkiya. This whimsical shrug abaya drapes like a dream, crafted from comfortable Kashiboo. Cut in a loose yet flattering silhouette, this will become one of your favorites in no time. 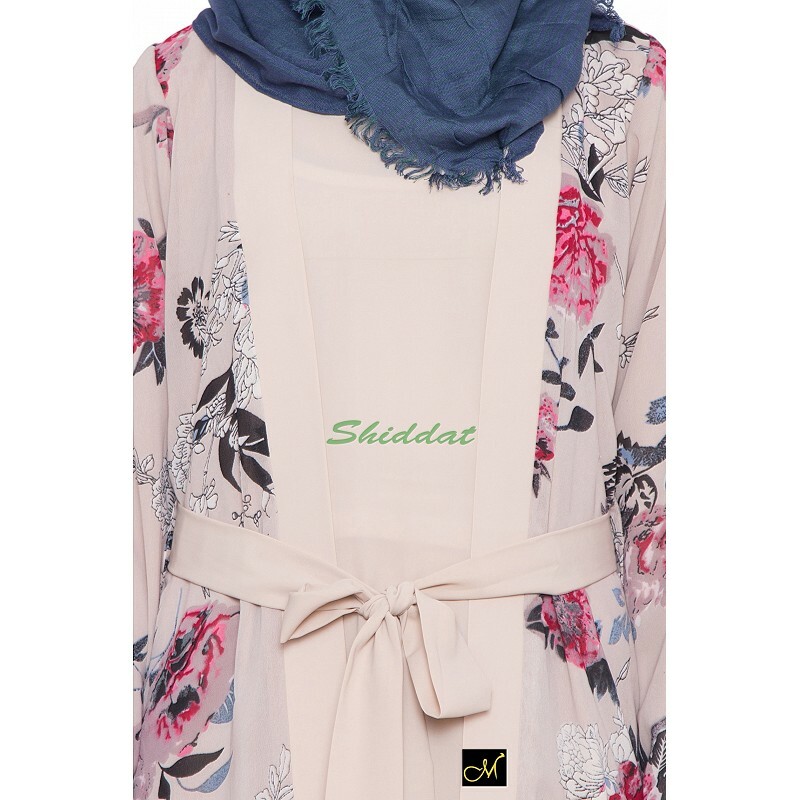 This abaya is made of very comfortable fabric with additional shrug layer at front.